Anything that may appear on this page is the legal property of the creators. The images though, belong to me. If you'd like to borrow them, please EM me and ask for permission first. New This is a character from a manga that I recently acquired. Her name is Alita. She is also known as the battle angel or the angel of death. 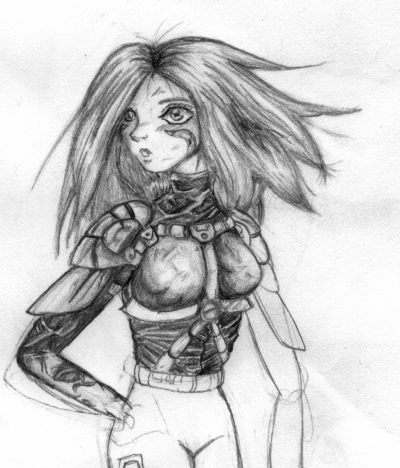 I did this quick sketch of her for the fun of it, also I had never seen a Alita fanart before. So here it is. New This is the coolest elf character ever to grace a manga IMHO. 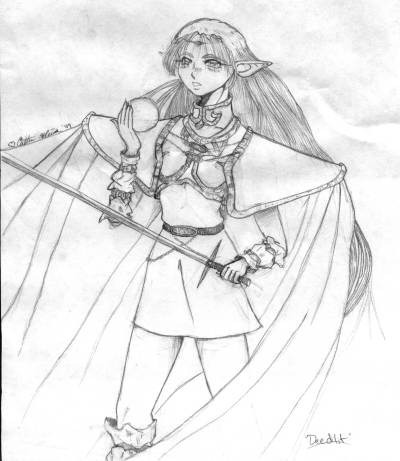 This is Deedlit from the Lodoss Wars, I'm not really fond of the way Deed is designed in the animes but I love the way she looks in the mangas. This is based on the manga version of her. I may or may not ink it someday.